PokerStars – here’s a brand you have probably heard of, even if you’re new to online poker. Currently PokerStars is just the one poker site and it’s the world’s favourite by a huge margin. It’s got everything you’d want from a network including great game choice, excellent mix of stakes and buy-ins and world-beating software.It’s aptly named – you’ll find a ton of famous poker professionals on this network including Barry Greenstein, Chris Moneymaker, Daniel Negreanu, Bertrand Grospellier and many, many others. It’s not just good players you’ll find here, there’s also plenty of fish who purely play recreationally so there’s still plenty of dead money out there to share! This is world-beating poker software at its best. It features a slick, contemporary looking design with one of the most intuitive lobbies in online poker. The game-play is smooth and crisp and is well-known for being great for playing multiple tables on (you can play up to 24)It’s compatible with various third party applications including Table Ninja (automates some aspects of multi-tabling) and Holdem Manager (an online poker analytics and ‘heads up display’ application). It’s pretty much a case of it you want it, it’s here, and plenty of it. The PokerStars network offers players Hold’em (No Limit, Pot Limit and Fixed Limit), Omaha (Pot and Fixed Limit), Omaha Hi/Lo (Pot and Fixed Limit), 7 Card Stud, 7 Card Stud Hi/Lo, Triple Stud, Razz, HORSE and Badugi. There is something for everyone here! This network is number one in the world – that means at any one time, thousands more players are on this than any other network or site. The action is 24/7 and no matter what variant or poker format you play you can be sure of a game starting quickly. To give you an idea of the scale of its popularity, an average over seven days shows they usually have 26,000 players on at once! 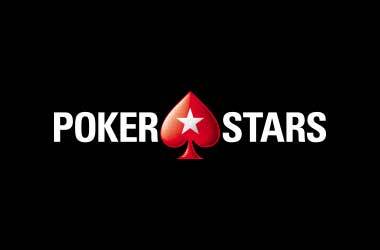 At the moment the Stars network is comprised of just PokerStars. This is one of our top ten poker sites as it offers THE best customer service in poker, a great reward scheme, a top poker bonus and awesome levels of poker player traffic. We would recommend this site to any poker player whether you’re just starting out or are a full time poker progressional. 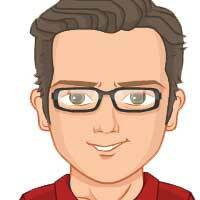 Be sure to read our PokerStars Review and you will for sure want to play on PokerStars.